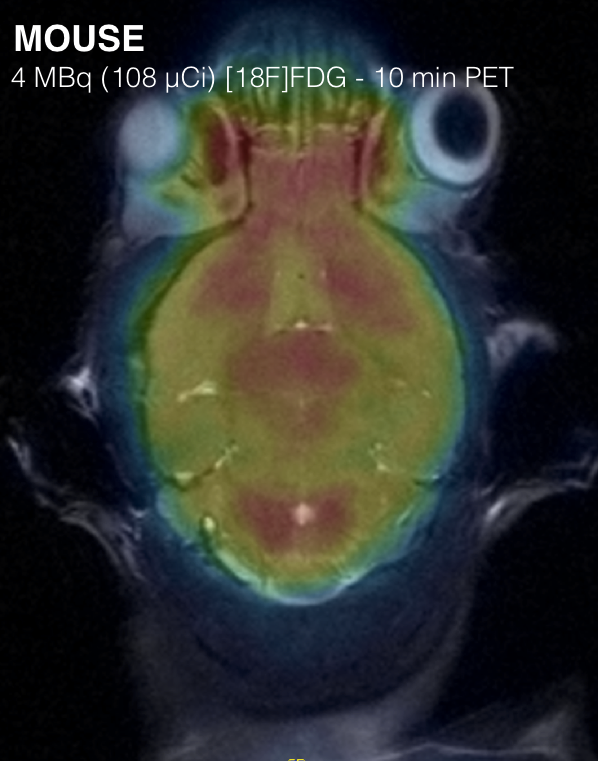 PET-MR imaging provides unique and complimentary functional and anatomical information. 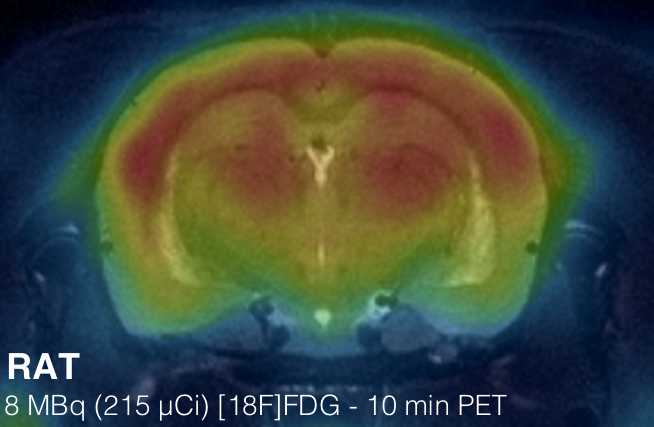 The exceptional sensitivity of PET, combined with the excellent soft tissue contrast provided by MRI can be particularly beneficial when quantification of the PET signal requires delineating volumes of interest in an area where the CT image does not provide sufficient tissue contrast, e.g. in neurology applications. MOLECUBES recently developed an MR compatible bed, which makes PET-MR coregistration easy and straightforward. 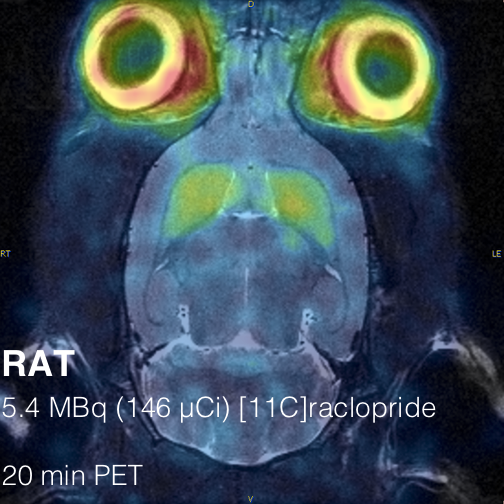 In this study, PET-MR imaging was done of mice and rat brains. Thanks to the sub-millimetre spatial resolution of the PET system, small brain structures including the striatum, thalamus, cerebral cortex, among others, could be differentiated. The MR data was acquired on a 7T Pharmascan (Bruker). Courtesy of dr. B. Descamps, Ghent University.